In our textile world, we are constantly surrounded by toxins. Even when we sleep. Many commercial mattresses contain toxic chemicals? Boric acid, antimony, formaldehyde, and flame retardants are just a few of the toxins you can find in your bed. Even with labels like "natural," "green," or "organic," mattresses can still contain non-organic materials and chemicals. Are you worried about toxins? OMI 100% Certified Organic mattresses and bedding accessories are painstakingly created to ensure that they are toxin free. They are certified to the Global Organic Latex Standard (GOLS), the Global Organic Textile Standard (GOTS), and they are totally free of fire-retardant chemicals. With one simple lifestyle switch, you can effectively decrease your exposure to toxins by 1/3! It is a small change, but it will pay huge health dividends. Are you sensitive to allergens? At SleepWellness, our OMI organic mattresses meet the stringent criteria of the UL/GREENGUARD Environmental Institute (GEI) Gold Certification for low VOC emissions. OMI has its own proprietary ozone cleaning chambers that reduce naturally occurring contaminants such as mold and mildew spores, yeasts, and bacteria. Maybe organic is for you! 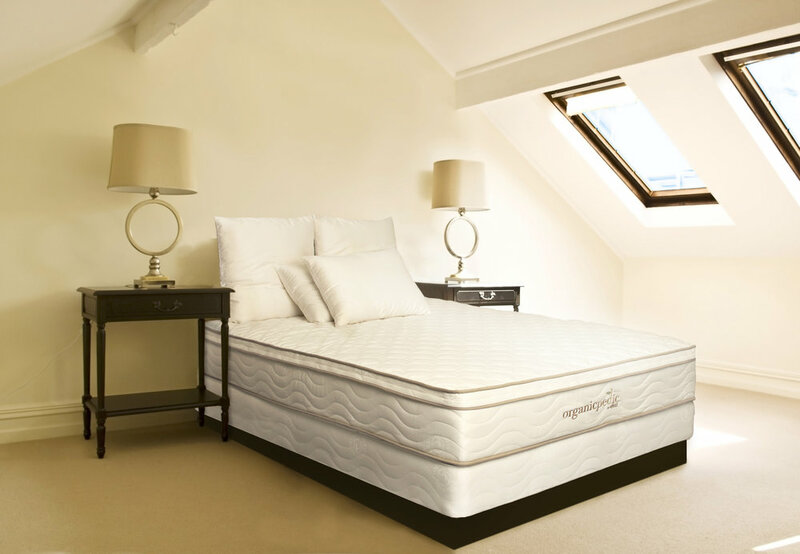 Simply put, we offer the purest organic mattresses and sleep products available. 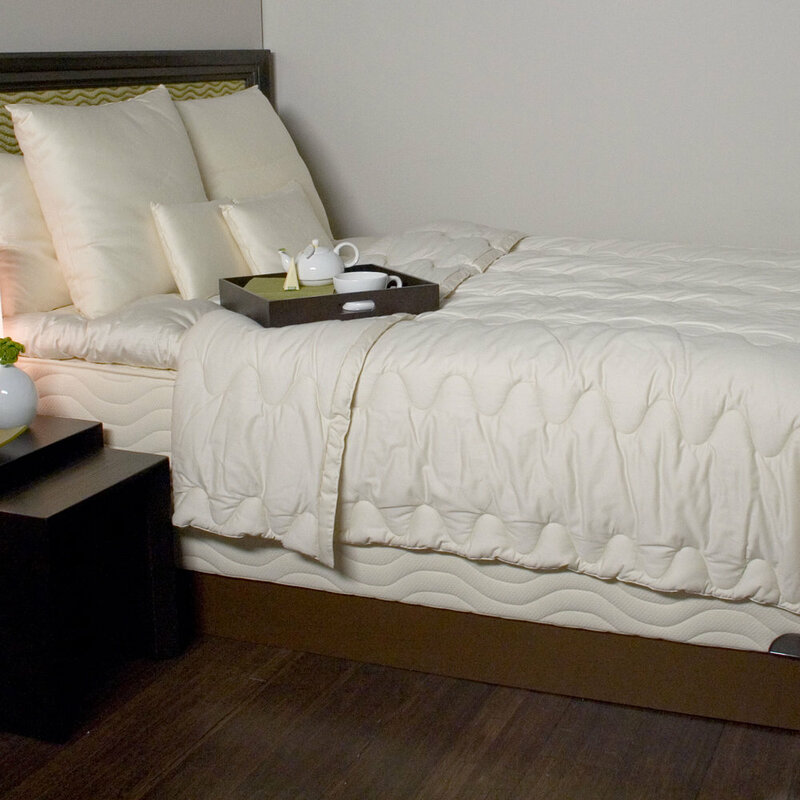 These luxury beds, made with the finest and purest materials, will dramatically reduce your toxin exposure while offering incredible comfort and support. Come in to see and try out these amazing beds for yourself! We'll help you and your family get started sleeping healthier than ever before. Made from organic latex and wrapped in incredible organic wool and cotton, these beds are comfortable, durable, and certifiably, top-to-bottom, clean of all toxins. Whether you're looking for a more traditional feel, a firm support, or a cloud comfort, there's something to fit everyone. Take a look! 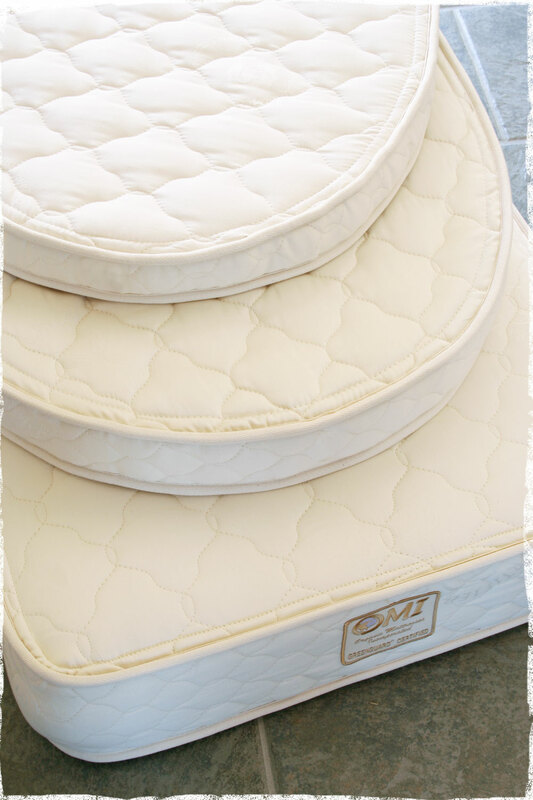 The OrganicPedic Earth® Pinnacle by OMI is an extra-plush 13” sculpted-surface pillow-top mattress made with GOLS-certified organic natural rubber latex and covered in signature GOTS-certified organic cotton-and-wool quilting. Removable, two-sided pillow top (3 1/2” deep) – also made of 100%-natural rubber latex – placed on top using exclusive "button-down" process. Sculpted surface offers pressure-point relief and increases air circulation. Button-down pillow top can be used on either side. Naturally mold-, mildew-, and dust mite resistant. The OrganicPedic® Lago Nouveau by OMI is a two-sided, 10 1/2” sculpted-surface mattress made with a 6” core of firm GOLS-certified organic natural rubber latex under a soft internal sculpted-surface layer, and covered with innovative new knit cushion quilting. This a great bed if you need a lot of support. 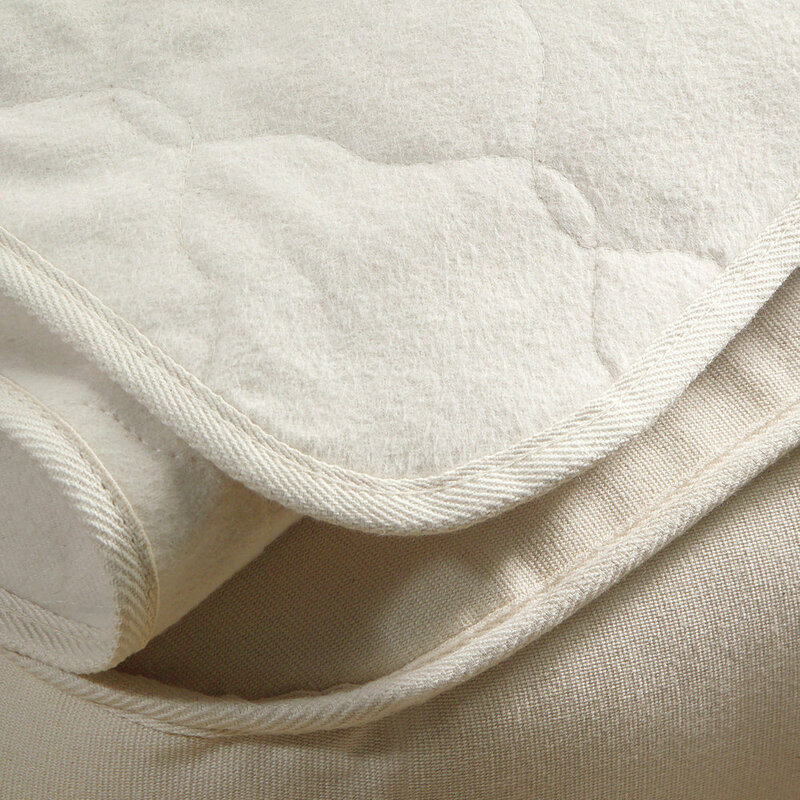 Eco-Wool™ fill naturally regulates body temperature. 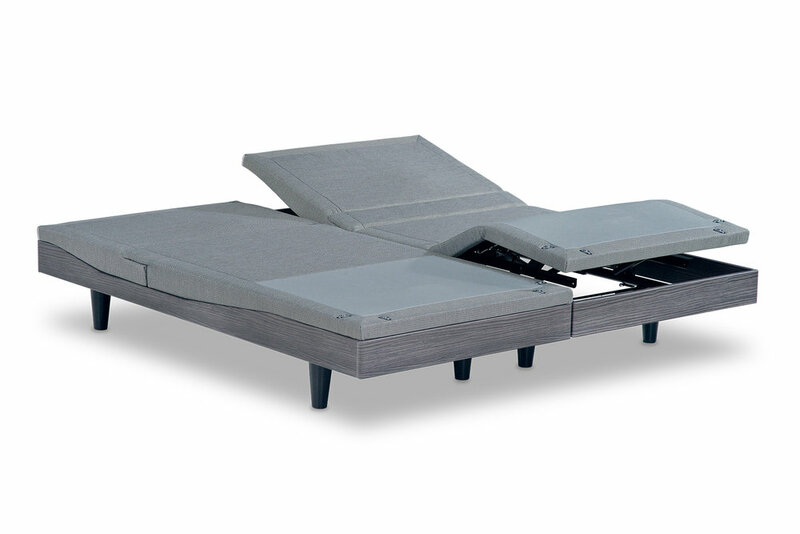 The OrganicPedic® Duo by OMI is a "build your own" organic bed. 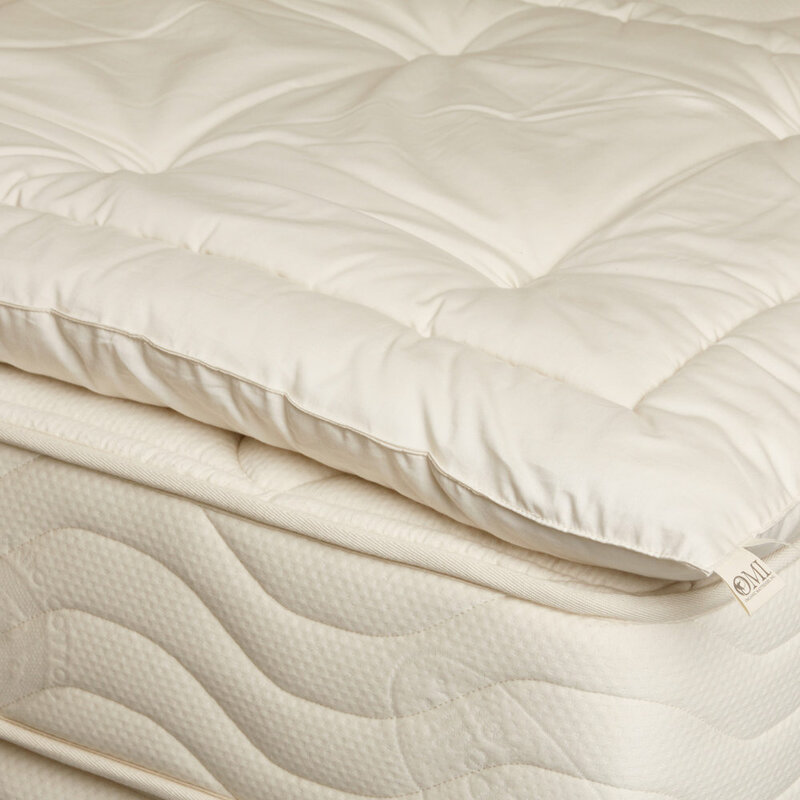 It consists of three layers of premium GOLS-certified organic natural rubber latex in dual sleep zones (for sleep partners with different needs) and is covered in signature GOTS-certified organic cotton-and-wool quilting. Customizable feel (different configurations of firm, medium, and soft layers). Layers individually encased in GOTS-certified organic cotton sleeves. With a lower profile, and a supportive, firm feel, the OrganicPedic® Midori by OMI is a great bed for children and youth. It is a two-sided, 7” flat-surface mattress made from a one-piece 6” core of medium-firm GOLS-certified organic natural rubber latex that is covered with signature OrganicPedic® knit quilting. The Midori was designed in the fashion of a firm Japanese-style sleep system. For those who love the feel of a more traditional bed, the REST® by OMI Rossa is a great option. 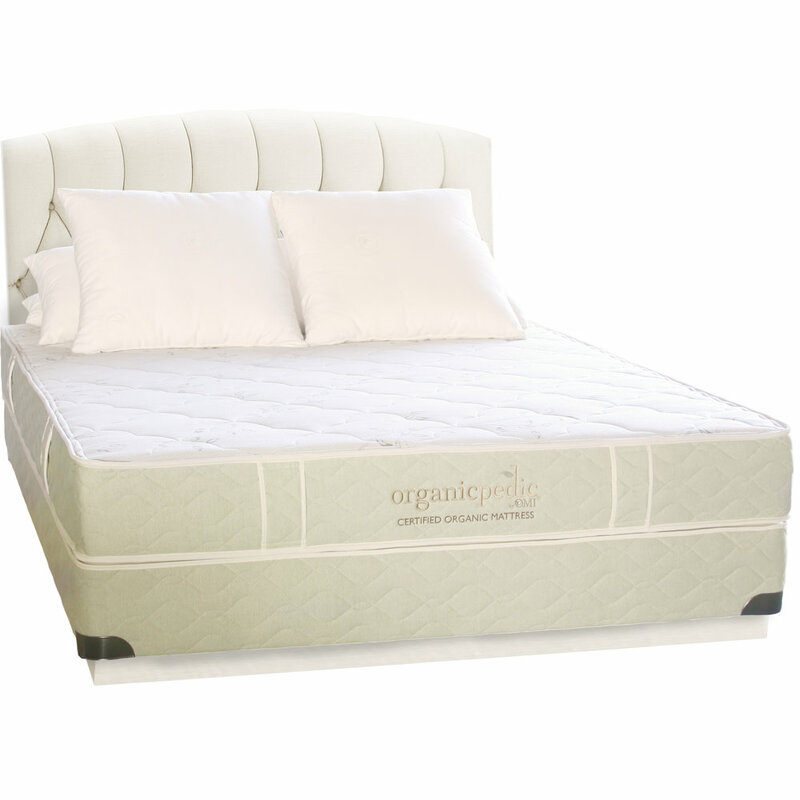 This bed consists of advanced pocket-coil technology made from natural biodegradable materials paired with a certified organic latex layer on the surface. Dual sleep zone customizable firmness (extra soft, soft, medium, firm). If you want optimal sleep, don't stop with just your mattress. With an adjustable base, you can fine tune your position to fit your exact needs and wants for even greater sleep health. Learn more about Reverie Adjustable Bases. We would love to show you these incredible beds in person. Come in lie down on a certified organic bed. We promise you'll learn a lot... and they feel amazing, too! Adults spend about 8 hours a day in bed. For little kids, it's more like 11-14 hours. For babies, 16-18 hours a day. Infants and children sleep a lot. And they have to. They are growing, and not just their bodies—their minds are growing too. The amount and the quality of sleep they get is crucial to a proper and healthy physical, emotional, and mental development. They need a comfortable, supportive, and toxic-free sleep environment just as much as (if not more than) adults do. "Because of the unique way in which little ones interact with the world, and the length of time that they are in contact with particular items, we are presented with a distinct opportunity to do a great deal of good for them..."
That's why we are so happy to offer OMI cribs and youth mattresses and bedding and Snuggle Me™ Wool loungers for infants and young children. Both products provide a safe, healthy sleep experience for your little ones so that they can get the quality sleep they need for proper development and a healthy jump on life. If you've never seen the Snuggle Me™ loungers, they are truly magical. With padded sides and a slightly raised and unpadded patented center sling, the Snuggle Me gently pulls in against your baby, giving him or her the feeling of a hug. Additionally, the Snuggle Me Wool lounger is made with GOTS certified organic fabrics and filled with virgin lamb's wool. This incredible lounger is free from flame retardants because it is naturally fire resistant, and offers your baby a toxic-free, comfortable, and supportive place to sleep. Designed for babies 0-6 months. Dimensions: 29" x 18" x 4". Cener sling is 20" x 8", meant to fit baby's head and torso with their legs draped over the bottom end. With a super-firm 260-coil innerspring assembly is covered with GOTS-certified organic cotton and GOTS-certified organic wool padding, this innerspring organic crib mattress offers a comfortable and truly non-compromising certified organic mattress that is built to last. If you are concerned about dust mites or want to give your baby a metal-free bed, this is the choice for you. This extra-firm Certified Organic Natural Rubber Crib Mattress offers a comfortable, solid support, and will last for years. Great for cribs that convert to toddler beds. These oval crib and bassinet mattresses are designed to fit popular oval cribs, such as the Stokke® Sleepi™ and Stokke Sleepi Mini™. They offer firm support and comfort that will last for years. The Certified Organic Youth Bed is a two-sided, 4” flat-surface organic mattress, made with a single core of GOLS-certified organic natural rubber latex and covered with signature OrganicPedic® knit quilting. You can also add an optional rubber topper to provide additional surface comfort as your child grows. Medium to firm feel with a flat surface. 4" mattress depth (additional topper 1 ½”). Available sizes: Twin, Twin XL. To say that finding the right pillow is important is a huge understatement. It's crucial. Your pillow is a bed for your head. And if it's organic, your pillow can be comfortable and healthy. Our pillows are certified organic, and there is one for every type of sleeper. From organic cotton and wool to latex and buckwheat, we have the perfect pillow for you. Additionally, some of our pillows come in different lofts, and some even let you customize the fill yourself. Free from dyes and chemical bleaches, our certified organic bedding breathes better and provides more comfort than synthetic fabrics. These awesome products keep you warm and comfortable without overheating. Made with certified organic wool and cotton, our pillow tops provide a layer of amazing comfort to any mattress. Wool is a wonderful natural choice for a sleep surface. Cool in summer and warm in winter, it wicks away moisture and dissipates it into the air over time. Covered in certified organic cotton sateen fabric, our pillow tops add a luxurious feel to your sleep surface. Greenwashing is defined as “the act of misleading consumers regarding the environmental practices of a company or the environmental benefits of a product or service.” Unfortunately, there are many claims out there about mattresses that are "natural," "green," "chemical-free," and so on. The only real way to know whether the claim is true or greenwashing is to ask for proof. OMI proudly provides independent, third-party verification of materials they use in their products. These certifications are awarded by globally-recognized, independent non-profit and governmental agencies, so you can rest easy knowing you are purchasing the purest, safest product available. It's simply the best. See OMI's purity guarantee and put it to the test. Join our SleepWellness Community to receive our newsletter and healthy sleep tips. We do not share, market, or sell your information. We respect your privacy. Thank you for subscribing to the SleepWellness Community. Don't forget to follow us on social media (@sleepwellnessbeds).